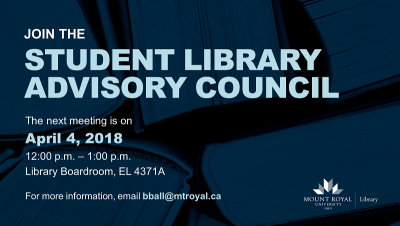 The next Student Library Advisory Council meeting is Wednesday, April 4. 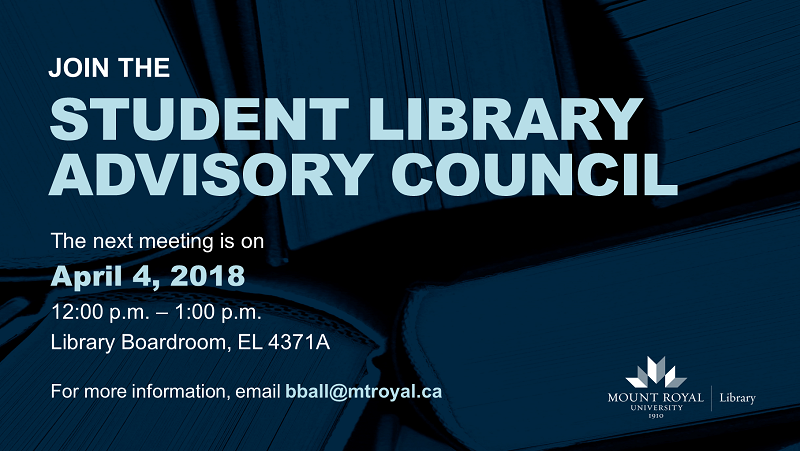 This is an opportunity to hear about upcoming programs and initiatives we have planned, and for students to give input on how they use the space and what changes will improve their experience. Please join us for free pizza and great conversation on Wednesday, April 4 in the Library Boardroom (EL4371A).